Flowboarding is a hybrid board sport, which has been evolving since the 1980s. The sport combines the progression, maneuvers and skills from the core action sports of skateboarding, surfing, bodyboarding, snowboarding, and to a lesser extent, wakeboarding and skimboarding. 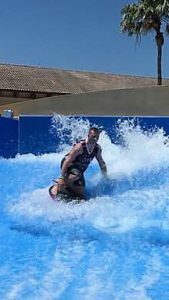 Visit our Flowrider Indoor Surfing page, and have some fun in the water! Stand up paddleboarding, or SUP for short, is one of the more popular water sports at the beach. There is minimal equipment needed and anyone can do it. The sport involves standing on a surfboard-like piece and using a paddle (like a kayak or canoe) to propel yourself through the water. Learn more about this activity and find everything you need to start on our SUP Paddleboarding post. A relaxing day on the water, a warm breeze rolling by and some incredible scenery you could never see on two feet—those are just some of the simple joys that come with kayaking and a few of the many reasons you should give it a try. Visit our Best Kayaks for the Beach guide on everything you need for your kayak adventure. Come have fun on the water! Get everything you need here for your Personal Watercraft. Enjoy your summer with fun on the beach and in the water! 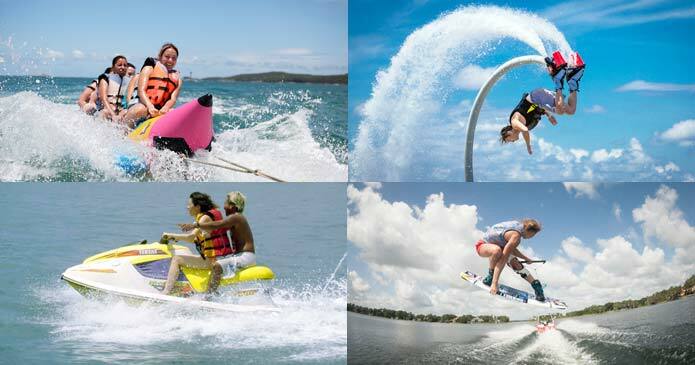 Get started now with our Personal Watercraft Water Sports. Kite surfing is a sport which can be learned relatively easy by every active and willing person. Anyone can learn how to kite surf, and no one is too young or old for this sport! Come on in and learn all about the fun water sport kite surfing, and learn how to kite surf! There is a world beneath the crystal waters that few ever see. Fish so colorful and vibrant they exceed any imagination. Unusual and beautiful creatures are hidden in the watery shadows that amaze and delight the explorer. It doesn’t take expensive gear or extensive training to find them. Read our snorkeling gear guide and get ready to have some snorkeling fun! Hello , I like this post because it reminds of my time when I visited the Seychelles for the first time. All the beaches and clear sand plus the coconut trees where all amazing to me. Unfortunately I didn’t know how to do some of the water sports, so all I did was to watch people doing all these nice activities. I would love to learn different activities and be able to enjoy the beach more. You are very welcome Angie. I know here on Clearwater Beach (#1 beach in the U.S.) we have all kinds of water sports available, as well as lessons. I think you will find lessons available for a wide variety of water sports in many touristy beach areas. I would just look and learn ahead of time, so when you get there, you are ready to learn, play and have fun! I lived 15 years on the island of Mauritius and I miss all the water sports I used to do there. But I am looking forward to vacationing there this summer and I love all your suggestions! I will definitely be looking further into your list, especially about kite-surfing and bodyboarding, and shopping for my long-awaited vacation in Mauritius. Oh wow, you will have a wonderful time. Both kite surfing and body boarding are so fun! For me, semi hard as my balance is not the best. Enjoy your vacation and thanks for stopping by! Thanks for sharing this! I liked looking in to your individual lists – I’ve done mostly fresh water kayaking, so it was especially interesting to read about the salt water kayaking experience. I’ve been hoping to get some water shoes soon, for snorkeling in a river near where I live. I’ve snorkeled it before, and found the bottom of the river to be pretty rough. Do you know some good brands for water shoes, at a pretty affordable price? Anything in the $30 range? Thanks for the great question Jordan! I have a pair on my site that I recommend, and personally wear. What is nice is that not only are they durable, but they come is so many colors….maybe that is a girl thing…lol. Anyway thanks for visiting. Please take a look at these. They are under $30 but well worth it! I don’t get to the Beach much anymore, but at one time I was an avid Scuba Diver. I was even in the business. Now, I love Lake Tahoe where most of the water sports can be enjoyed there except surfing. Have you ever been kayaking or paddle boarding at Lake Tahoe? There are several areas around the Lake that offer wonderful beach access. I have been to Lake Tahoe, but not paddle boarding or kayaking there. Oh, I bet that is wonderful! You do have the beach at Lake Tahoe, just a different king 🙂 Thanks for visiting Jacqueline. I’m a fan of snorkeling personally, I love looking at all the fish but I am too chicken to actually give scuba a go! Lost of choices though besides these two activities. You have given me a lot to consider on my next beach outing! All those activities sound absolutely amazing! I don’t know what it’s called, but you have a picture of it …. The guy who has those like water .. rockets on his feet. That looks amazing. Is that an activity you can generally find now at touristy beach destinations? Hi Lynne, that is called flyboarding and yes, you can find that at most touristy destinations. I have not personally tried that, but it does look like a blast! Wow these are all things I really want to try doing when I start to travel here soon great information as always love reading your articles ! I Really want to try flow boarding looks so amazing ! Flow boarding is amazing. I can tell you that, for me, it was very hard to learn. Yet some pick it up in 5 minutes. My son is an instructor and does competitions which are a lot of fun. You would enjoy! There’s some awesome ideas here. 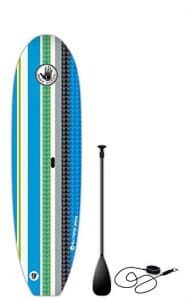 Personally, I’d really like the paddle board. We have friends who own them and love them. I think I’m a little old for kite surfing, lol. That, plus I’m a little nervous in the water… Something slower suits me fine! Thanks for reading about water sports gear. Suzanne, paddle boarding is so much fun and so relaxing. It is at a much slower pace, and I just enjoy being on the water soaking up the sun. My favorite beach activity for sure. I honestly never thought of how much fun one can have in the water. I am not a great swimmer but I’ve always wanted to go on a jet ski. I also find playing volleyball as an exercise on the beach to be one of the best way to break a sweat. Thank you for sharing. Yes Steven, there is sooo much fun to be had at the beach with water sports and beach games. The ideas are endless. I am a beach lover, but I don’t just like to lay around on a towel. I enjoy playing in the sun, sand and water. The best way to enjoy the beach! Thanks for reading. I can’t say that I’m a big beach person but if I’m gonna go and actually do something at the beach like one of these things I will go. I’ve never tried kite surfing but now I am really interested to try it. I will have to look more into it. There is so much do at the beach and in the water Jose, I think you would love participating in some water sports. Kite surfing is awesome and not as hard as it looks! Thanks for stopping by. Thank you for the great reviews for the beach sports gear. 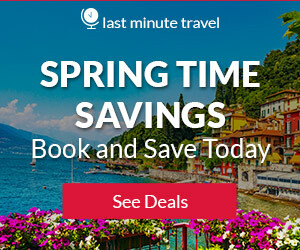 I am going to be adding more to my bucketlist, This site is having me hooked more into going to some of these destinations. Could you suggest more of these in places like Taiwan as I might be planning to be there soon. I will do some amazing beaches in Taiwan. Please sign up for my newsletter so you can be informed when the information is available 🙂 Thanks for reading about water sports gear. Wow, so many things to add in my bucket list! I know a good friend of my relatives who is a huge fan of kite surfing. He often did it in St. Kitts & Nevis and on the Simcoe Lake in Ontario, Canada. 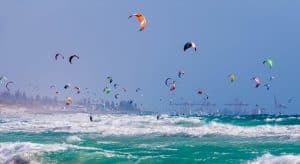 Can you suggest some other destinations for kite surfing? It would be a great idea to kill to birds with one stone: visit a new place and practice a new water sport. You are welcome, and yes there is so much more to do at the beach than just lounging around. I like to stay active and enjoy all sorts of beach games and water sports 🙂 Thanks for visiting! I love this website. It looks beautiful and is chock full of luxurious destinations. I am a beach person! I live in northern California at the moment. My real estate is in Florida. I have been missing the horizon. I love the content here. I especially like the beach games and gear sections. Beaches rock! Wow, thank you so much for your amazing reviews. This water gearing activity always looks fascinating to me and I will try this one day. Thank you for your amazing share, I really love they way you have explained everything in your review. I am glad you found it interesting Sarah. There is so much to do at the beach, and in the water. The water calls my name, so I love all types of water sports. I do believe you will too once you start! Thanks for reading about Water Sports Gear for the beach. I would love to own my own kayak. I’m curious if there are suggestions for roof racks on cars for carrying a kayak? I should have reviewed roof racks! Thank you for letting me know. Here is the link for the best kind of roof rack for your vehicle. Thanks for reading!